Teeth can shift. Retainers keep them in place. Your orthodontist will recommend how long to continue wearing your retainers, whether they are removable (the kind you put in and take out) or fixed (bonded behind your teeth). Wearing your retainers as prescribed is the best way to keep your teeth from moving after your orthodontic treatment. There are many reasons teeth may move following orthodontic treatment. Teeth are not set in concrete, they are in bone. And because bone around your teeth is continually changing (breaking down and rebuilding), your teeth may shift after your braces are removed. By wearing your retainers, your teeth are more likely to remain where your orthodontist has placed them. The small changes that occur after braces are removed are due to a “settling in” as you use your teeth for biting and chewing. The more serious and undesirable changes maybe traced to genetics or later-than-normal growth, which is unpredictable. Movement is most common in lower front teeth. This is particularly true if the teeth were extremely crowded prior to treatment. Changes in tooth position are a lifelong and naturally occurring phenomenon.The best way to keep teeth from shifting is to wear your retainers as prescribed. If you notice movement after your braces are removed, please contact your orthodontist. Can retainers be worn too long? No. 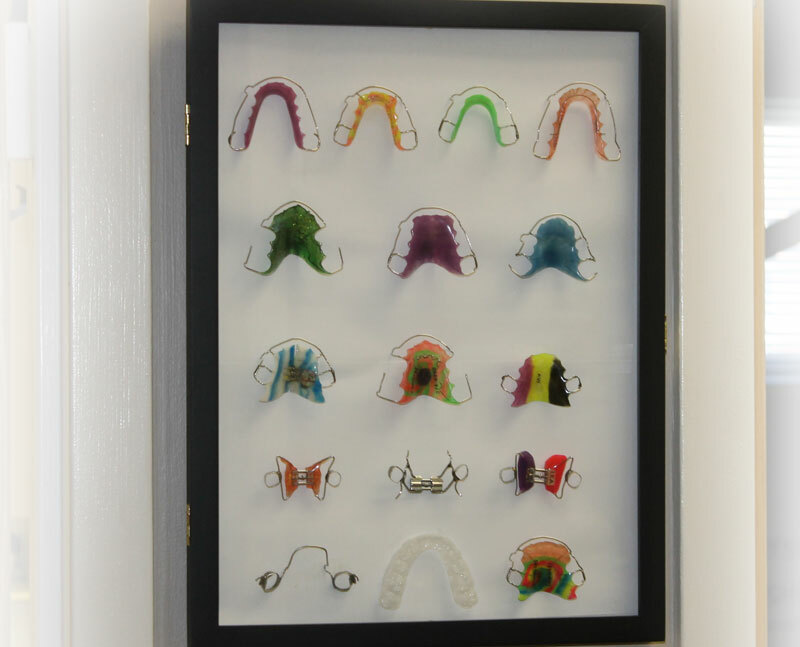 Retainers stabilize and preserve the alignment of teeth and jaws that orthodontic treatment achieved. Many people wear removable retainers nightly for the rest of their lives. Ask your orthodontist for guidance about your long-term retainer wear.Click edit button to change this text. I had orthodontic treatment as a teen, and now as an adult my teeth are out of place.What can I do? If you notice an unwanted change in your smile or bite, contact your orthodontist for information. An orthodontic“tune up” may be necessary to regain proper alignment. Keeping your teeth straight is now your responsibility. Do not be alarmed if small changes occur. Wearing your retainer long-term as prescribed by your orthodontist is the best way to preserve the healthy,beautiful smile created by your orthodontic treatment. Contact your orthodontist any time you need advice or have concerns. See your family dentist regularly. The fact is that you are the person in charge of keeping your teeth straight. How do you do this? By wearing your retainers. Retainers are used for two reasons: First, to allow bone to rebuild after your teeth have moved, and second, to keep individual teeth from drifting. In other words, retainers preserve and stabilize the results you and your orthodontist achieved through your orthodontic treatment.